West is a well known American marine artist. 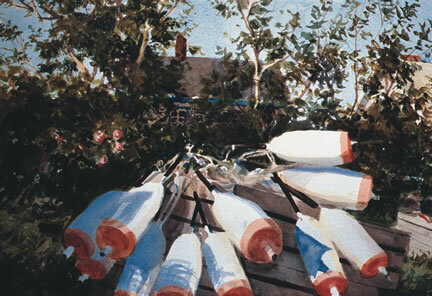 He devotes most of his studio time to commissioned work but uses his annual getaway to Vinalhaven, Maine, to replenish his collection of painting subjects. He has published a series of limited edition prints of the harbors of North America highlighting each area's maritime personality.